VXi Corporation Celebrates Its 25th "Innoversary"
VXi Corporation (vxicorp.com) announces the company’s quarter-century milestone as the Sound Choice™ in hands-free technology. Founded on September 11, 1989, VXi has stayed true to its mission to build a better headset—as so clearly demonstrated by their latest high-performance innovations, the customizable VXi BlueParrott® B350-XT and the one-of-a-kind Reveal Bluetooth® headset. For VXi, "good enough" has never been good enough. From the first, the company has held itself to a higher headset standard—in every category, but particularly when it comes to sound quality. When most professional headset companies, and their customers, settled for adequate audio transmission, VXi looked for ways to do things better. The very first VXi headset was designed to deliver the best possible sound quality, in a lightweight, comfortable and durable package. But it was only the first step on a path illuminated by many VXi firsts and breakthroughs - from the industry's first telephone line-powered amplifier, to the #1 headset among professional truckers, to the first and only headset with a built-in LED presence indicator designed to established Unified Communications standards (the UC ProSet LUX™). Before VXi, there was no such thing as a headset with exceptional voice quality and naturalness, especially in the Bluetooth arena. 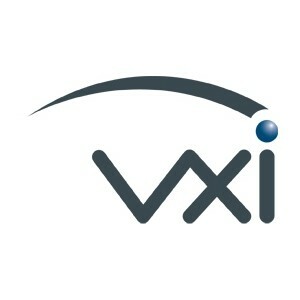 VXi pioneered the use of superior noise-canceling microphones, unique microphone housing designs and proprietary software algorithms to offer both wired and wireless headsets that deliver clear, natural-sounding voice transmission, even in extremely high-noise environments. VXi’s unique combination of industry-leading noise canceling certified by independent, third-party testing with high sound intelligibility significantly reduces misunderstandings while increasing user productivity, agent engagement, customer satisfaction and revenue. "Most people still think a headset is a headset," said Mike Ferguson, president and CEO of VXi. "They may look alike, but there is where the comparison ends. Throughout our 25-year history, VXi has made headsets to give customers the best sound transmission, knocking out background noise, insuring the listener hears your every word, and you hear their every word. When you want to be heard, you want VXi headsets. Today, technology is really catching up with our vision, and VXi headsets are far ahead of the competition. Taking a different path has made a radical difference in our products. It’s a difference people have to hear to believe."